Stay connected with Tim and get your free copy of the first six chapters of Maya Hope for a limited time. Hi Tim, I understand you are about to release The Tree of Life. This is the second book in your series? Hey, Suz, thank you for having me. Yes, the first in the series is, Maya Hope, a medical thriller that is set in Guatemala and North Korea. 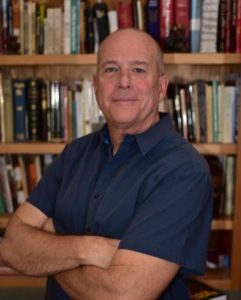 My readers are introduced to Dr. Nicklaus Hart, an orthopedic surgeon from Memphis, whose best friend is murdered in Guatemala. Nick goes down to help fill his shoes at the mission hospital and gets caught up in a North Korean bioterrorist plot. When you wrote Maya Hope, did you have any idea that North Korea would be front and center in the news? I understand you have been to North Korea. When I started Maya Hope, five years ago, I had no idea how pertinent the book would be today. Yes, I was asked to go to North Korea in 2000 with a mission’s organization that was responding to the news that over two million people had died of starvation. It was a medical team that went, and I must say of all the places I’ve been in the world, North Korea was one of the most fascinating, but challenging. 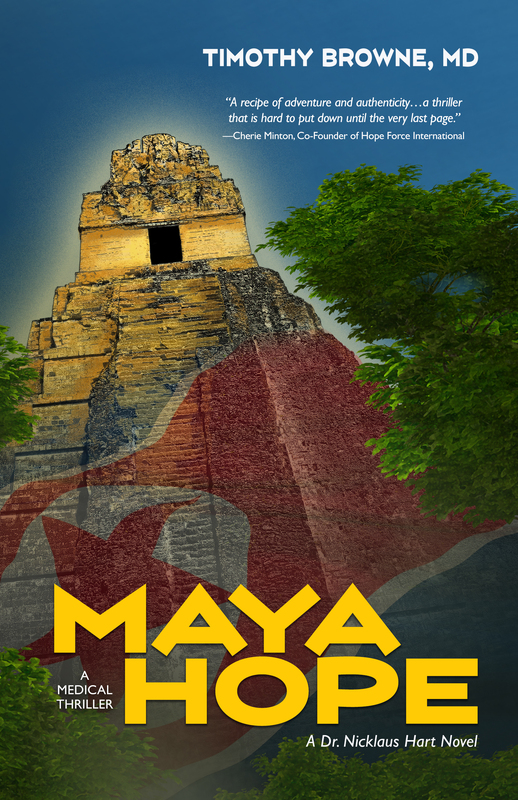 Many of the stories you’ll read in Maya Hope, although fictionalized are true-to-life. When we were picked up from the airport, a young woman in a military uniform got on the bus and “welcomed” us to North Korea. She started with praise for the leaders of the country and then went into all the ways that the DPRK would destroy the fascist American pigs. What a way to start a trip! Because they knew that myself and one of the other physicians were orthopedic surgeons, they took us to the hospital to show the local surgeons performing a hip replacement. The poor patient was laid out on an archaic operating table with an incision that is never used and an ancient style hip replacement that was going to be implanted. Of course, I will never know, but I imagined that the patient came straight from one of the labor camps. Yes, it was awful. I think part of the reason I wanted to write about North Korea was that all of us need to understand what the country is like and most importantly, how to pray. You have been a medical missionary? 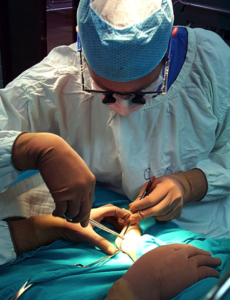 I am an orthopaedic surgeon and practiced in Montana for five to six years, doing mostly trauma and sports medicine. A good friend of ours asked my wife and me to go to Guatemala on a mission trip, and it changed our lives in a huge way. We basically cried for most of the week as we saw this incredible need for medical care. Because we were there to do basic medical care and not surgery, treatment of one little baby haunted me. A very young mother brought the newborn in, wrapped in many blankets. As I unwrapped this beautiful little Guatemalan baby, it was super healthy except for syndactyly of the hands. The fingers were all stuck together like mitts. There are all kinds of syndactyly, but this particular child had the simplest form…basically webbing between the fingers. It would have been easy to correct surgically, but we had no supplies or a facility to do the surgery. It broke my heart. We came home, sold everything, gathered supplies and went. We have been so blessed to serve in many places around the world. Besides North Korea, what is another one of the hardest places you’ve served? That’s easy. I was in Haiti three days after the massive earthquake. We ended up at one of the few remaining hospitals in Port-au-Prince and were faced with unbelievable devastation…lines and lines of broken and battered people. Plus, the fact that the hospital had no electricity, no water…nothing. It was truly like the worst of battlefield medicine. This experience is the foundation in writing my newest book, The Tree of Life. Turkey. The story puts the reader into ground zero of a natural disaster…difficult, but important stuff to wrestle with. Wow, this is also a medical thriller so there must be a mystery involved in the story? What is the release date for The Tree of Life? I can’t wait to read it. The manuscript for the third in the series is done, The Rusted Scalpel. We hope to release it later this year. Thank you. I love all my books, but I LOVED writing this one. There are huge spoiler alerts here, so I can’t tell you much yet. But the story takes a hard look at big pharma. I know readers will be reading and shaking their heads, yes, and saying, “That’s right.” My editor says it my best one yet. My real claim to fame is that I flunked second grade. I couldn’t or wouldn’t read…so every time I can share about my writing it’s a victory…yes? I’m severely dyslexic. I think my parents were just as surprised as I was when my first book, Maya Hope, was published. 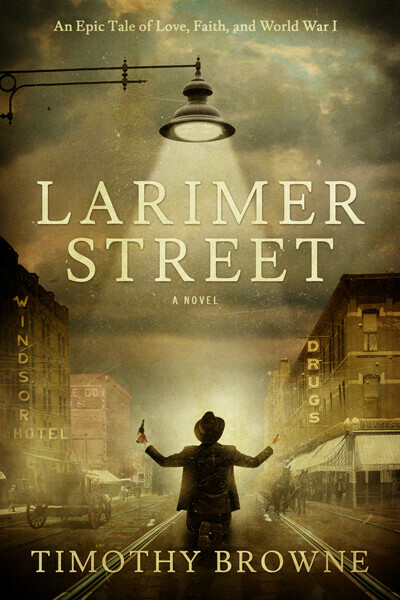 In fact, I ran into an old friend the other day that knew how I struggled in English, especially spelling, and he said, “You must use spellcheck a LOT.” I’m currently work on my fourth novel, Larimer Street—isn’t that God’s restoration! How can people find out more information on your books or you? There are lots of ways, but probably the easiest is to visit my website at AuthorTimothyBrowne.com. In fact, I am currently going to give free copies of Maya Hope out for a limited time as we release The Tree of Life. People can always shoot me an email at authortimothybrowne@gmail.com. That’s awesome. I like free. Any final words you’d like to add, Dr. Tim?